Check out my Mario Kart alternative poster featured on Shortlist and Game celebrating Shortlists 10th birthday with alternative takes on 10 years of awesome games! My brief - "Mario Kart as you've never seen it before"! Here we go an update on the Alternative Movie Posters Exhibition which will feature my very own version of the classic 'Planes Trains and Automobiles'!!! If you are in London and free on over the weekend of the 22-23rd September 2017 make sure to check it out! Our first exhibition will be held in the heart of Brick Lane, East London from 22nd-23rd September. Something we at AMP have wanted to do for a long time now, and this is the perfect theme to launch our on-going series of exhibitions, 30 films that turn 30. This year we have teamed up with 30 incredible artists to bring this show to life and celebd some true genre defining films, 1987. Well I've been away for a while, but I'm thrilled to say I'm back with a bang! I'm thrilled to be invited by Alternative Movie Posters to take part in their first live exhibition celebrating 30 awesome films turning 30 this year! More info on the date and location to follow!! Check out my alternative Stranger Things poster featuring on shortlist magazine with some other beautiful work! 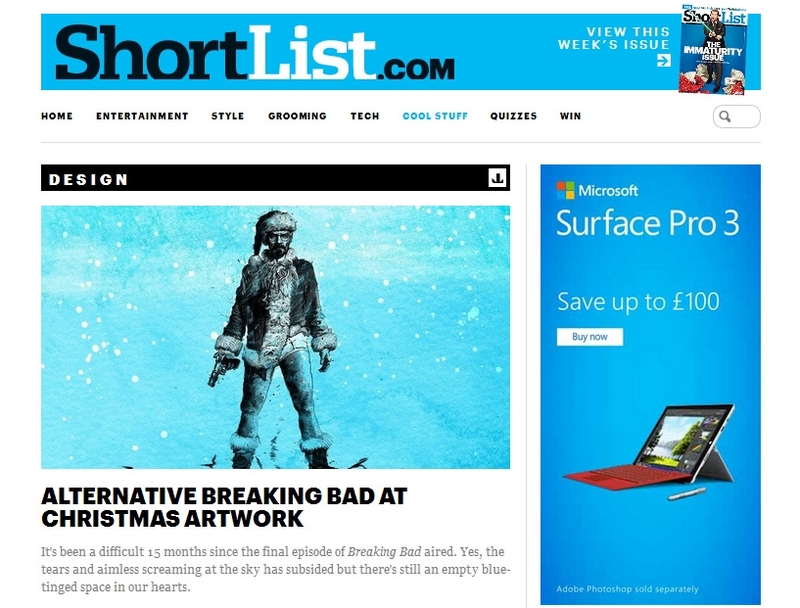 A big thanks again to shortlist for featuring my work! A big thanks to Movie Pilot for comissioning me to do the artwork for their newest online fanzine, this week all about Shane Black! Check it out here. Check out my new alternative poster for The Walk featured on Shortlist magazine. Big Thanks to Dark Knight Dave's Batman Blog for the write-up of my work! Very kind words, think I'll have to give a Two-Face image a go! Check out a new article about my work here on excellent movie news website Movie Pilot! Check out my new Ant-Man poster! Commissioned by Movie Camp to celebrate their release event for Marvel's Ant-Man! Thanks very much to First Showing for featuring my Jurassic World Alternative Movie Poster! My T-Rex featured on Shortlist Magazines Twitter Feed showcasing the new alternative Jurassic World Alternative Poster Gallery!! Check it out. New today!! The Shortlist Alternative Jurassic World Posters Gallery featuring my Jurassic World T-Rex image!! Some fantastic work on show in the gallery from some great artists, really excited to be included amongst them. Big thanks to Filmdoo for their write up about my Spiderman Poster in the Creativity Poster Competition!!! Makes me almost want to sign up to Facebook. Almost. Check out the write up of the Filmdoo Creativity Poster Competition on the Scan Pro Video Blog, one of the generous sponsors of the competition! Check out the write up of the Filmdoo Creativity Poster competition by Film3sixty! Still can't quite believe I'm on of the winners! Unbelievably excited to be a winner in the Filmdoo Creativity Competition!!! It was announced at Cannes film festival no less!!! Cannes!!!! Really cool to see HMV announce the in-store release of the Nightcrawler Steelbook! Available from the 2nd of March 2015!! HMV officially reveals the back and inside cover art for my Nightcrawler Steelbook! Really excited to see it online and soon to be available in-store! Limited edition Nightcrawler Steelbook now available for pre-order online direct from Entertainment one! Thrilled to announce that my Nightcrawler artwork has been commissioned as the official cover for the UK Steelbook release! Breaking Bad Christmas poster commission to celebrate the Breaking Bad: The Complete Series - Collector's Edition Tin is available on Blu-Ray and DVD. Gone Girl alternative movie poster commission.